The most action any backyard ever sees is around Christmas. If it’s not the kids playing cricket, swing ball and rugby in it, then it’s mum and dad rushing around like headless chickens trying to make it look stunning for guests with gardening, pruning, and a Christmas garden tidy-up. If your yard is not quite up to croquet-playing standard, that doesn’t mean it won’t ever be. Hedges are a much-loved part of many people’s home. They add privacy, stop the kids’ frisbee going over into the neighbour’s yard, and add much-loved shade during an intense Kiwi summer as well. However, after winter, they can look a little worse for wear, and may be in need of a haircut. While your hedge is unlikely to have anything on the tallest and longest in the world, that doesn’t mean you don’t still need to take care of it. Pruning and hedge and tree trimming is by no means a “fun” activity, but it’s a satisfying one. You can call in the experts who can take care of your residential hedge trimming, or you can get to work doing it yourself. For general garden tidy-ups, pruning, and hedge trimming, you are going to need pruners, loppers, and a curved hand saw. Remove dead and damaged branches and dispose of these. Then, step back and have a look at your masterpiece. Identify where you need to make cuts, and where you could add shape. Don’t stop until your dishevelled hedge is looking far better than ever before! 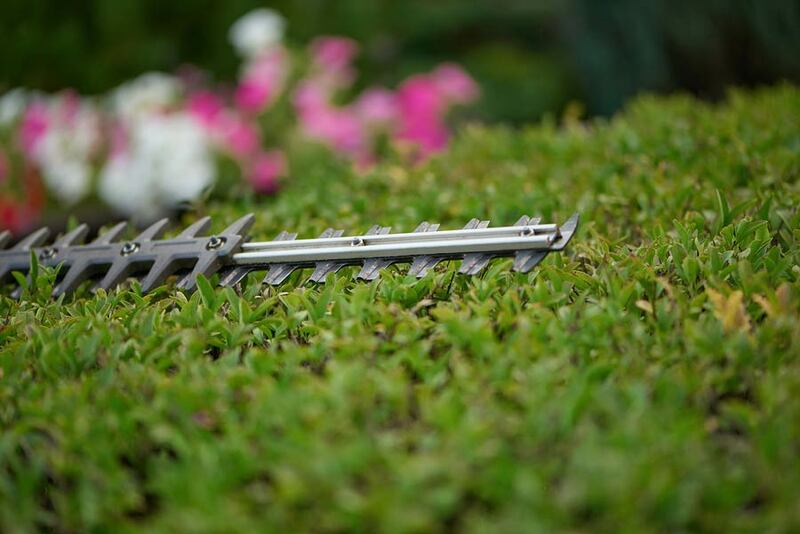 OK, so we lied, pruning isn’t all that fun, but once you snip away the imperfections of your shrubs, you will be delighted with how tidy all your plants look! That way, when your in-laws join you for Christmas lunch, you can rest assured everything seems perfect! Pruning is a necessity, and can completely transform how your yard looks. Pruning is also about more than shaping and sculpting, although that’s a fun hobby for many people. Instead, it’s about getting rid of dead, dying, or diseased branches and stems that are ruining the appeal of them! Pruning can also play an essential part in your garden tidy-up while improving plant health and controlling growth. Unfortunately, all plants are different, so pruning techniques for one plant may not work for another. Confused yet? Lucky for you, it’s a job that you don’t have to do on your own. In the lead-up to Christmas, we can let you off the hook and take care of your pruning and tree trimming for you! If you barely have enough space in your home for the permanent occupants let alone people joining you for Christmas dinner, then you will no doubt be taking advantage of your outdoor areas. Rather than trip over everyone, you can enjoy fresh summer air while listening to the distant yells of children not sharing their toys with their cousins. If, however, you have not yet cleared away the dirt, dust, spider webs and debris that makes its way in there over winter, then there’s no time like now to get started. Arm all the kids with scrubbing brushes and water and let them earn their keep. While you take care of the gardening and garden tidy-up, they can be making sure all the outdoor furniture is sparkling clean and ready for guests! Now the fun really begins! Decorating for Christmas day can put a smile on everyone’s face – even if you’re a little bit stressed! 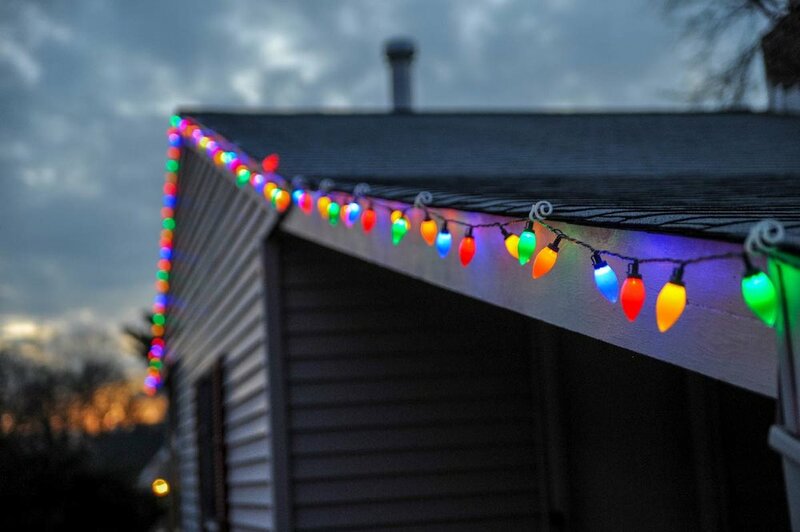 Add Christmas lighting to the areas around your home that matter the most, and don’t forget a spot of tinsel here and there for good luck. If you’re feeling extra festive, you can also give the kids a can of fake snow each, trusting them to add it to your windows (carefully). Being a Kiwi Christmas, snow in a can is the only snow you’re going to see! Summertime at Christmas means we can spend far more time outdoors than we would during winter. However, do you want to be entertaining your guests in the dark? Take the time before the big day arrives to invest in quality outdoor lighting. Permanent lighting can even add to your property’s overall value! Set it up around dining tables, along fences, and even fairy lights adorning your conservatories. Lighting can be both festive and ambient. If you want to go all-out this Christmas with your gardening, pruning, and tidying up, then don’t forget to water blast your home too! Water blasting is an excellent way to get rid of moss and other built-up grime that graced your surfaces over the winter months. What’s more, it can stop your surfaces from being slippery and dangerous to walk on! Water blasting doesn’t take long, but it can make your property look spick and span in no time! Don’t pull your hair out this Christmas. 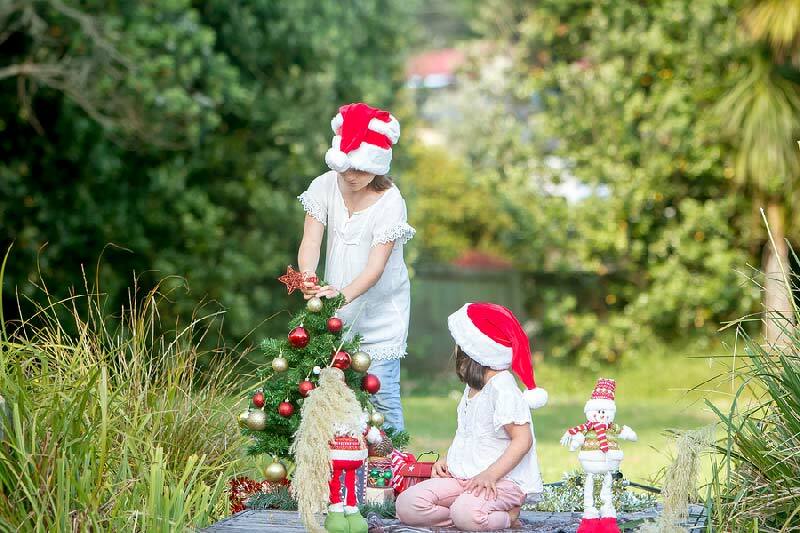 Get the kids involved in preparing your backyard for Christmas, or why not call on the experts for help as well? While you’re at it, check out our other useful advice to see how you can make your backyard look great! What Ground/Soil Types Are You Planting In? To Use Pesticides or Not?